From left, Police Chief Chris Lyddy, First Selectman Mike Tetreau, Captain Robert Kalamaras, Lieutenant Ed Greene and Detective Belinda Papageorge at Police Headquarters on Reef Road. 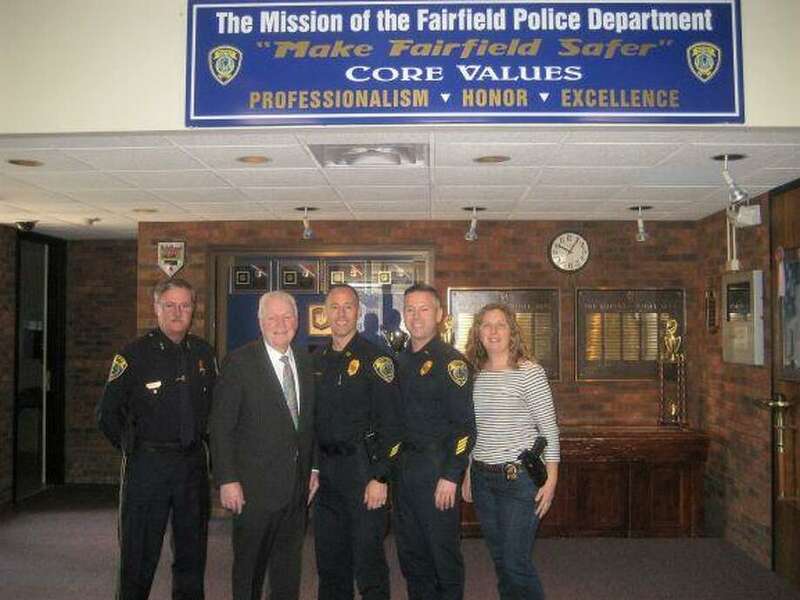 First Selectman Mike Tetreau and Police Chief Chris Lyddy announced that the Town of Fairfield has been named a top safe community in Connecticut. SafeWise, an online safety resource that helps families and communities make informed decisions, recently issued its annual 20 Safest Communities in Connecticut Report for 2019 with Fairfield placing seventh. • Being robbed is the top violent crime worry, and safest city reporting supports that—only three cities had zero incidents, and the reports ranged from one to 25, with a total of 146 being reported among all cities, which makes it the second-most common violent crime after aggravated assault (166).